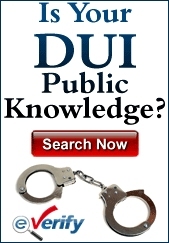 In New Jersey, infractions committed while intoxicated are usually associated with driving a motor vehicle. Many who are so accustomed to the traffic violation of DWI occurring don’t even consider the possibility of a person operating a boat being arrested and charged with boating while intoxicated. In the warmer months, when more people are enjoying water sports, there is the possibility that someone will drink too much and choose to operate a boat. Simply because the water is a different venue to operate a motor vehicle doesn’t mean that the rules are different for boaters. While driving a car drunk is dangerous because of other drivers and pedestrians, boating while drunk has its own dangers associated with it. Other boaters, swimmers, jet skiers and even people enjoying the day on the shore can be placed in danger if someone chooses to operate a boat while drunk. In addition, boats can be much larger than a car or even a truck making it more of a risk if there is an accident of any kind. The simple fact that there are different tactics when operating a boat in comparison to a car make a BWI potentially more serious. A person who has been drinking while boating and ends up in the water might lose his or her equilibrium faster and not know whether they’re upside down or right side up. This will put them at risk of death by drowning which can result in manslaughter charges for the boat operator. The level of alcohol in a person’s bloodstream when arrested and charged with BWI are the same as when they are charged with DWI for driving a motor vehicle. 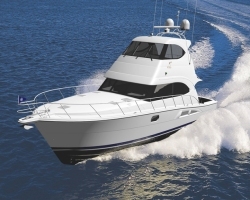 If a person operating a boat registers a blood alcohol content of 0.08% or above, they will face BWI charges. When convicted of BWI, there can be fines, a suspension of both the boating license and the driver’s license, and perhaps jail time. In New Jersey, the police and the U.S. Coast Guard work together to find boaters who are drunk and place them under arrest. If a boat operator has been caught, arrested, charged and convicted of first offense BWI, the penalties will include a suspension of boating privileges for one year. The driver’s license will be suspended for three months. There will be a fine of between $250 and $400. A first offense does not carry the possibility of a jail sentence. When caught for BWI a second time, the penalties grow worse. The boating license will be suspended for two years and the driver’s license for six months. The fine will be for between $500 and $1,000. The driver can spend two to 90 days in jail. For a third offense of BWI, the boating license will be suspended for ten years and the driver’s license for two years. The fine will be for $1,000. The boat operator will be required to spend six months in jail for this conviction. In a DWI with a motor vehicle, there are certain protocols that must be followed by law enforcement to ensure that the traffic stop, investigation and arrest were all within the boundaries of the law and the driver’s rights were adhered to. The same holds true with BWI. If law enforcement patrols on the water see a boat that they suspect is being operated by a person under the influence, they can pull the boat over similarly to the way a car would be pulled over. When the stop is made, the officer must have a reason to continue with the BWI investigation after speaking to the driver such as evidence of drunkenness like slurred speech, bloodshot eyes or the smell of alcohol. There will be field sobriety tests and a breathalyzer test given. When the breathalyzer test is given, the officer must watch the driver for 20 uninterrupted minutes to make certain that the driver doesn’t do anything to compromise the accuracy of the breath test. Chewing gum, smoking a cigarette or regurgitating can all compromise the test. The officer must be certified to give the breath test and the machine must be properly calibrated. If any of these rules are violated, the charges might have to be dropped. When the prosecutor pursues a BWI conviction, three factors must be in place. One, the suspect must be operating a powered, water-based vehicle that is at least 12 feet long. Two, the infraction must have been committed on waters in the state of New Jersey. Three, the boat operator must be found to have been under the influence of alcohol or drugs. There is a statute of limitations for charges of BWI. If the state doesn’t file the summons within 90 days after the arrest, the charges will be dropped.